How do you think your pen is feeling today? How about your phone? Your keyboard? Your shoes? One of the most essential skills for reading, writing, and creativity is understanding different points of view. 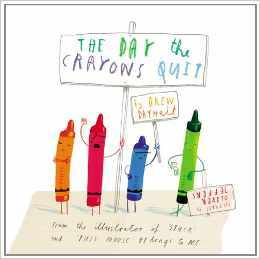 While we typically think about point of view when considering the human characters in literature, Drew Daywalt’s The Day the Crayons Quit stretches us just a bit more. When Duncan opens his box of crayons, he finds instead a set of letters from his crayons explaining why they have had enough. Each color has its own grievances, from black, who is tired of being used just for outlines, to exhausted overused red, to orange who insists s/he is the true color of the sun. I just love it! The Day the Crayons Quit could be inspiration for tales from the point of view of all manner of home or classroom materials. Young children could write about how their toys might feel, or older students consider point of view while writing a sequel for younger children—while also working on the Common Core standards on writing appropriate to the audience. Or you might want to explore some of these other ideas and resources on teaching point of view from unusual vantage points. The International Reading Association has lessons materials for grades 3-5 teaching point of view using Two Bad Ants. Use their Fractured Fairy Tales generator to create a fractured fairy tale from another perspective. Explore this blog post for other picture book options from different perspectives. What if you teach older students and want a really unusual point of view? Of course you could go with classics like Watership Down or Mrs. Frisbee and the Rats of NIMH. I even found a GoodReads list of books written from the perspective of an animal. 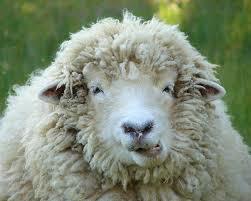 But for a little fun, try Three Bags Full: A Sheep Detective Story by Leonie Swann. (Read it for yourself, if not your students.) This story of a flock determined to solve the mystery of their shepherd’s murder is delightfully witty and genuinely feels like to perspective of woolly revengers. It’s been years since I’ve read it, and I think I want to do it again. 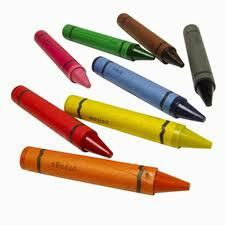 Whether crayons or sheep, new perspectives can help us flex and discover in ways we won’t do alone. Enjoy the ride!